You are welcome to use the picture of Shea and the letter in your testimonials. I wouldn’t classify Lalu as a service dog so much as a companion. There are so many advantages to having a dog, particularly when you have a developmental disability. -getting her to go outside and walk for at least one 1/2 hour per day. -forcing her to advocate for the dog- she had to call the groomer and the vet to make appointments and find out about the care of Lalu. 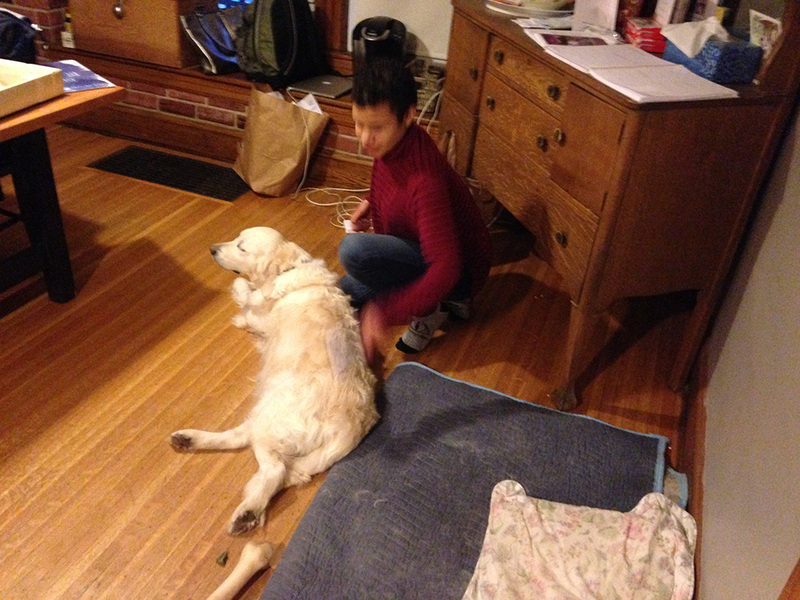 -Socializing: Goldens just naturally bring people into to you. As we walk, people interact with Shea and Lalu. That works on Shea’s speech and socializing. -Responsibility: she has to brush, feed and wipe down the dog every day. For once, she is responsible for someone else instead of having others be responsible for her. -self esteem: she sees herself as the dog’s mom. I would include all of those things as benefits. We have never had a Golden before but I have to say she has been easy to work with. We have been working on teaching her left and right when walking as well as wait before we go in a door. She is quick to catch on. I am just writing to let you know that Lalu has made a ton of progress. She is definitely settling in. We have been walking her for about one hour per day. For the first two weeks, we broke it down into two 1/2 hour sessions following the same route each time. She had to get used to so many different things- joggers, RR tracks, traffic- and it definitely was an adjustment. This weekend, we saw her really settle in and start eating etc. with confidence. Shea has benefited so much from having Lalu. She is Lalu’s mom, a fact that she is very proud of. At this point, she has taken over the walks with us along to supervise. When she is not available, we still make sure that Lalu gets in a nice walk but Shea takes care of feeding and grooming her. This weekend, we will be meeting with our groomer for Shea to ask questions about how often we should bring her to the groomer and how to care for her in between. 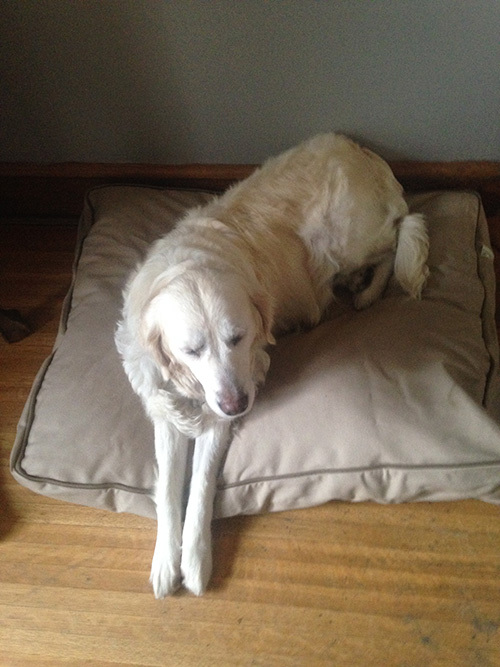 These are all valuable lessons for pet responsibility and Shea has done a great job. We have seen Shea grow in confidence and responsibility as Lalu’s mom. 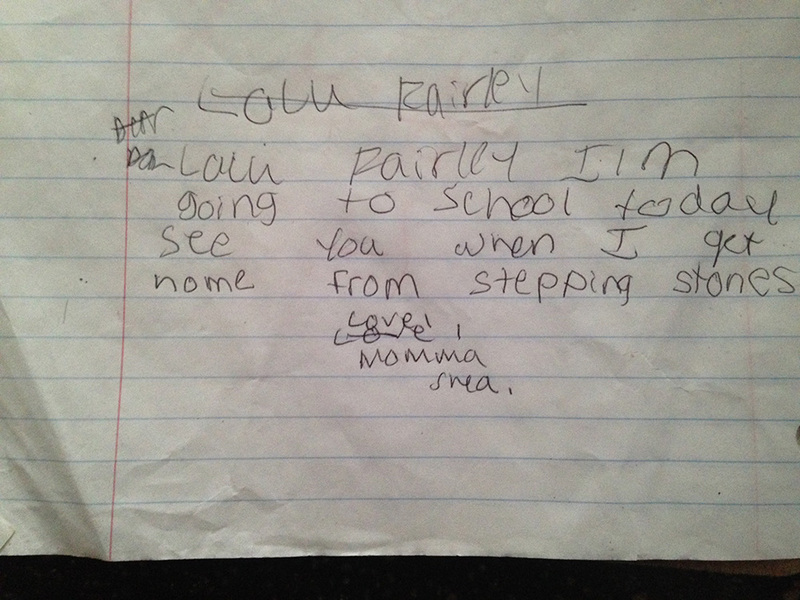 I am including pictures as well as the note that Shea left for Lalu when she went to school. I think you’ll enjoy it!